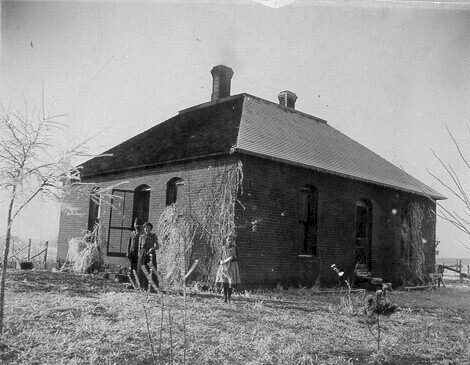 John and Laura Lucas were residents of Bronaugh in the very early 1900's. Laura Lucas's mother, Joanna Day Hudiburgh also lived in Bronaugh with another daughter, Etta Hudiburgh. Joanna Hudiburgh is buried at Worsley Cemetery. Hilda Hartling wrote that among her family photos, is this image that has been identified on another web page here as the Twigg home. 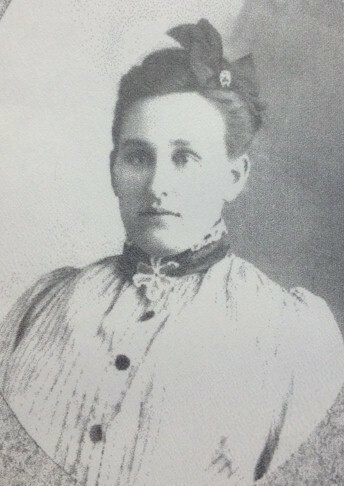 Her photo has the inscription "To Claude and Cettie from Ma and Pa, Bronaugh, Mo., Vernon Co."
Claude and Cettie would be Joseph Claude and Loucetta Lucas and Ma and Pa would be John and Laura Lucas. So this inscription indicates that at some point, John and Laura Lucas were living in this house. They had lived in Vernon County as early as 1892 but in 1893 were in Webb City, MO but then other children were born in Illinois. However at some point in 1893, J. C. Lucas was listed as operating the coal mine of W. C. Burton. 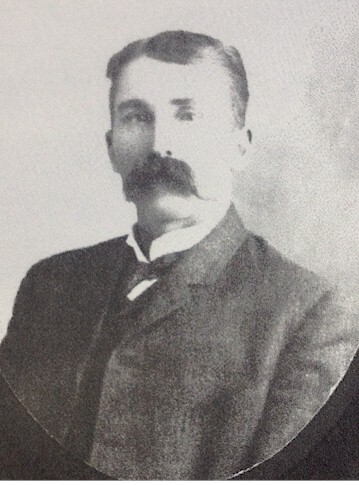 By 1896, J. C. Lucas was the constable for the town of Bronaugh. The photo inscription surely indicates that John and Laura were living in this house by 1900, when daughter Stella was 11. The girl in this picture looks to be about that age and supposedly, the couple is John and Laura Lucas. We wonder if they were renting the Twigg home by then. Their son, Favius Guy Lucas had already married Katherine (Katie) Twigg. Kate was a daughter of William Twigg and she was mentioned in his estate settlement issues after William died in 1903. In 1901, J. C. Lucas was still the constable for Bronaugh because he was assisting with arrests after the bank robbery in which Bronaugh's Marshall, Billy Morren, had been shot and killed. Some of John and Laura Lucas's children married around Bronaugh. Hilda wrote that John, Laura, Lester, Josie and Stella Lucas all migrated to Washington County, Arkansas. Emmett went to Cedar Rapids, Iowa and died when he drowned in Vincennes, Indiana. Flavius went to Medford, Oregon. Here are the obituaries for John C. and Laura Lucas from the Bronaugh Journal. John C's obituary was in the March 31, 1915 issue. Laura's obituary was in the March 26, 1924 issue. Here are two photographs that were found in an anonymous collection of photos in the Genealogy Room at the Nevada Public Library. The photo to the left is identified as Flavius (or Flavon as is written beside the image) Lucas. The photo to the right is said to be Laura Hudiburgh Lucas. 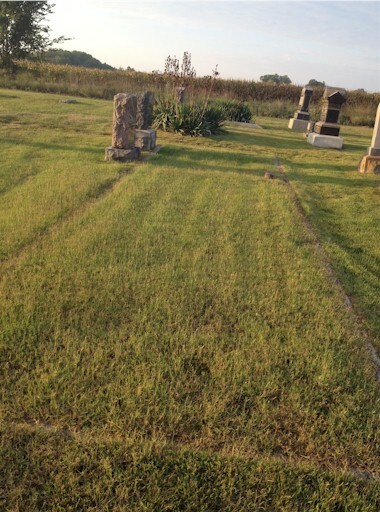 Here are images from Worsley Cemetery just southwest of Bronaugh, MO. The gravestone to the left is for Joanna Hudiburgh, wife of Solomon Hudiburgh. 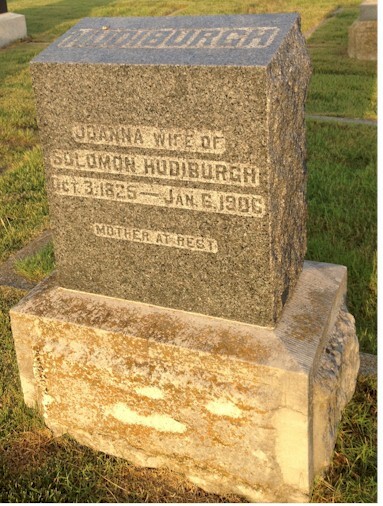 She was born October 3, 1825 and died in Bronaugh January 6, 1906, the widow of Solomon Hudiburgh. Below is the grave marker for their daughter Mary Etta Hudiburgh also at Worsley Cemetery, 1858 - 1932. The image to the right shows the large Hudiburgh plot in the cemetery. There must have been plans for many other burials there, but everyone except Mary Etta moved. Thanks to Hilda Hartling for providing the basic information used in developing this page.